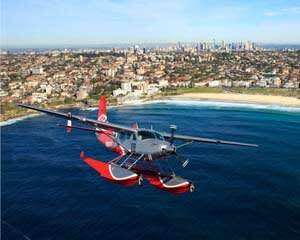 No matter your age, when you’re kicking back beachside and see one of these planes touch down on water, you’re probably thinking “man, that looks so fun.” It’s a pretty universal reaction. 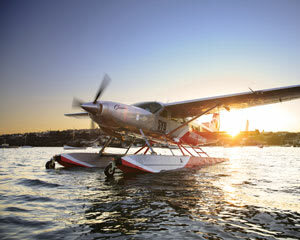 Seaplanes bring out the kid in all of us! It’s time to make the leap from wide-eyed onlooker to first-class passenger—these seaplane tours offer phenomenal thrills and fantastic value! The sights are second to none: sun-kissed Sydney, Melbourne and Gold Coast views lay before you in all their glory. These panoramas, when paired with the sensation of taking off and landing on a beautiful body of water, give way to the perfect sunny-day escape! 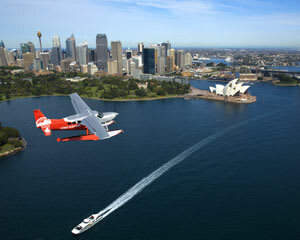 Take a scenic seaplane flight at any one of these locales! 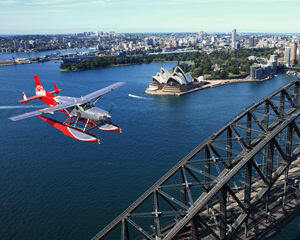 In Sydney, fly high in a classic Beaver seaplane and snap shots of all the city’s greatest hits. See Harbour Bridge, Opera House and iconic beaches including Avalon and Palm Beach! 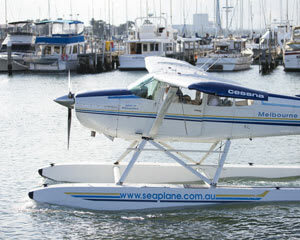 Melbourne seaplane flights provide colouful coastal views. Camera in hand, you’ll capture the famous homes of Brighton, continue to Sandringham where the remains of a WW1 submarine are still visible and then swoop over Half Moon Bay! In the Gold Coast, Seaplane tours often take you over beautiful humpback pods. Enjoy aerial views of these majestic creatures and then fly close to much of the incredible architecture, including the sprawling Q1 tower! Big sights for big appetites. 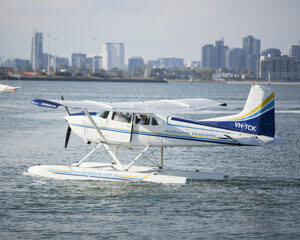 These seaplane tours pair your flying experience with gourmet lunches at delectable bayside restaurants! 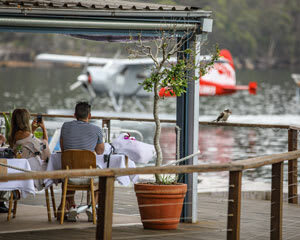 Your seaplane will touch down right in front of the dining establishment, giving you and your date true jet-setter treatment! 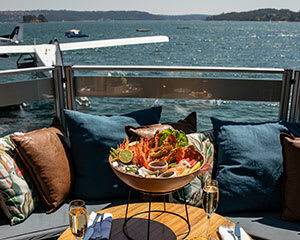 In Sydney, there’s the award-winning cottage point inn where you’ll lunch on modern Australian cuisine surrounded by Ku-Ring-Gai National Park’s tranquil scenery. Or, seafood lovers are invited to feast at Empire Lounge. Wash down sweet crab, shrimp and lobster with a glass of Champagne! If you really want to up the romance, you also have the opportunity to book a seaplane flight that touches down on a secluded island. It’ll be your own little Eden—just the two of you dining on a sumptuous picnic lunch and toasting with a glass a bubbly. 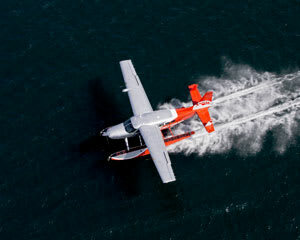 If you’re planning on popping the question, this seaplane tour is the way to do it!